Tennis smashed their way to that code’s first medals of the AUSC African Region 5 Games here on Tuesday. 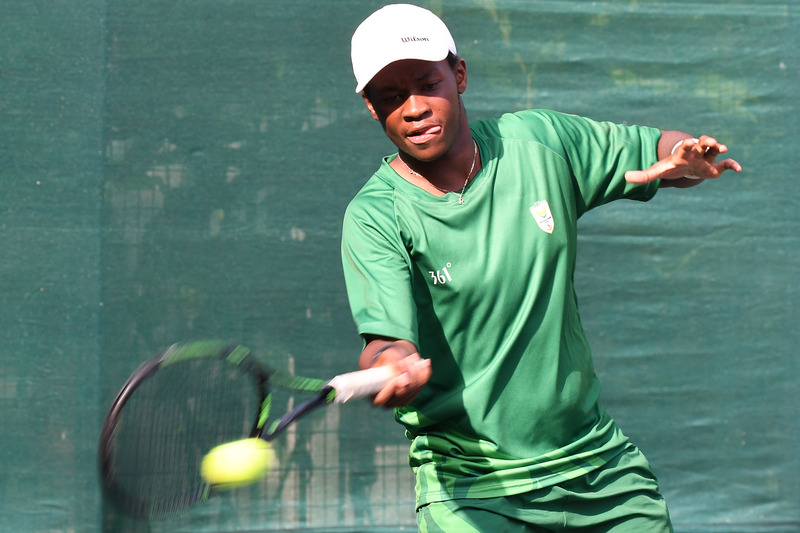 It was an all-South African affair with the team’s four singles players taking each other on in the boys’ and girls’ finals and then also in doubles action later on. The boy’s final went the way of Richard Thongoana who once again got the better of team-mate Phillip Henning with the team flag bearer prevailing 6-1 7-6. The girls final saw Minette van Vreden taking on Imaan Hassim and the crowd at the Luanda Tennis Club were denied the chance of a conclusion to a cracking final when, with things all square at 6-2 1-6 and 5-5 Capetonian Van Vreden was injured and had to retire. 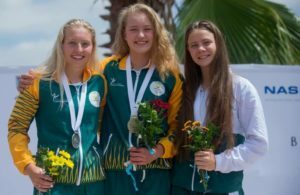 That meant that the two also missed out on the chance of another gold medal for South Africa as they had to forfeit their doubles final against Zimbabwe. The men’s final was a ding-dong affair as Thongoana and Henning lost the first set 6-7 to their Angolan opponents. Looking tired after a few days of play under hot and humid skies, they bounced back to take the second set 6-2 and held firm to wrap up the gold medal with a final set score of 6-4. Wednesday sees the final of the boxing and Team SA have four fighters in finals. Siyakholwa Kuse, Ricardo Malajika, Mxolisi Zuma and Uganda Nogongo are in action in the light-flyweight, bantamweight, flyweight and welterweight divisions respectively. Coach Hannes Britz is quietly confident. ‘These guys all have very good chances of winning gold. ‘I still think Siyakholwa has looked the best so far but if the guys concentrate and listen to instructions they can go all the way. This is a good bunch of talent, probably a bit stronger than the squad we took to Zimbabwe for the last Games two years ago. As athletics starts winding up on Wednesday the codes of gymnastics (men’s tumbling) and swimming will start their Games camp with the latter likely to once again be a hugely reliable source of medals as has been the case at previous Games. 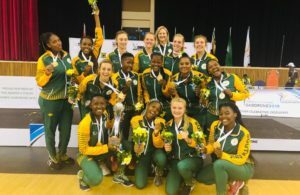 The netballers, with a 2-0 record so far after wins against Lesotho and Zimbabwe, take on what will prove to be their toughest opposition so far, in the shape of Botswana at the Citadela arena on Wednesday before a final pool match against Namibia on Thursday and then Botswana again in the final.